GM has yet to confirm it will seek Chapter 11 bankruptcy protection but scheduled a news conference for Monday in New York. General Motors Corp. has cleared a couple of key roadblocks on the ailing automaker's route to an almost certain bankruptcy filing Monday. Early Saturday in Berlin, Germany's finance minister said a plan was approved for Canadian auto parts maker Magna International Inc. to move ahead with a rescue of GM's Opel unit. That news came after the United Auto Workers union on Friday ratified a package of concessions designed to reduce GM's labor costs. 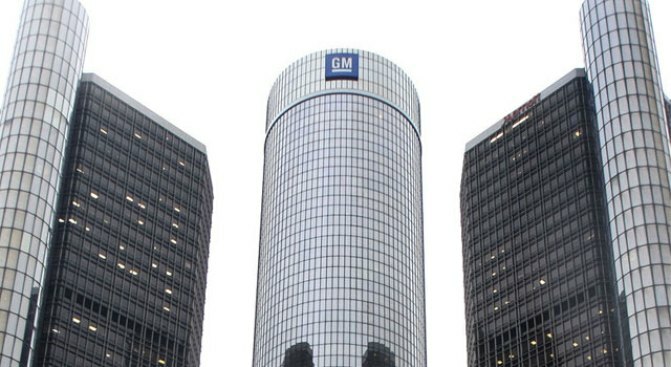 The developments appeared to put in place two more pieces of the automaker's massive restructuring effort as its board of directors meets Saturday for a second day to decide what GM will do when its government restructuring deadline arrives Monday. GM has yet to confirm it will seek Chapter 11 bankruptcy protection but scheduled a news conference for Monday in New York. If all goes well, the government would see its $50 investment paid off in five years as the automaker rebounds, a White House official told the Washington Post. Chrysler LLC, meanwhile, will likely have to wait until Monday to learn if a bankruptcy judge will rule that it can go forward with its plan to sell most of the company to a group headed by Italy's Fiat and take a big step toward its goal of a speedy exit from Chapter 11. U.S. Judge Arthur Gonzalez is expected to approve the sale but it's likely that attorneys for three Indiana state pension and construction funds, which have aggressively opposed the deal, will appeal the decision and possibly force Chrysler to further postpone the deal's closing. Chrysler claims that any substantial delay could push Fiat to back out if the deal, since the Italian automaker has set a deadline of June 15 to wrap up a transaction. U.S. automakers have been hammered by a brutal combination of a bad economy, a big jump in gas prices last year, and decisions to churn out gas-sucking SUVs at a time when more American consumers were looking for cars that were cheaper to fill up. GM, with the government's backing and nearly $20 billion in U.S. loans so far, has made more dramatic changes in just a few days than it has in decades. A deal to sell GM's rugged but inefficient Hummer brand also appeared on the horizon. GM's stock tumbled to the lowest price in the company's 100-year history on Friday, closing at just 75 cents after trading as low as 74 cents. A government plan for GM revealed Thursday would make the shares virtually worthless. The United Auto Workers' reluctant but overwhelming ratification of concessions will save GM $1.3 billion per year and bring its labor costs down to those of its Japanese competitors. The new UAW deal freezes wages, ends bonuses and eliminates some noncompetitive work rules. In Berlin, the agreement hammered out will see Adam Opel GmbH put under the care of a trustee later Saturday, shielding the German automaker from GM's likely filing for bankruptcy protection early next week. The German government and several state governments will provide a $2.1 billion bridge loan, part of which will be available immediately. Siegfried Wolf, a co-CEO of Magna said he expected the agreements with GM would be signed in five weeks time, but insisted that the deal struck early Saturday would prevent Opel from being touched by whatever will happen to GM. "A solution has been found to keep Opel running," Germany's Finance Minister Peer Steinbrueck told reporters after more than six hours of talks. "You can be sure that we did not take the decision lightly. All the federal and state representatives are aware there are some risks."